Published biweekly as part of the FLC’s DC Perspective news content, the T2 Touchpoint gathers updates from inside and around the technology transfer (T2) community. News is collected from agency publications, news sites, and DC-central organizations, with original sources, contacts, and links provided in addition to our streamlined synopses. For more information and Touchpoint-related inquiries, please contact dcnews@federallabs.org. As Capitol Hill settles into a new Congress, both the House and Senate Appropriations Committees have finalized their leaderships after three weeks of deliberation. This should improve matters as the Subcommittees within these groups decide most federal budget matters, with research and development (R&D) dollars at the forefront of their discussions. In April, we reported that despite the Trump administration’s requested budget cuts to several science offices—including the Department of Energy (DOE) Office of Science—several agency budgets were increased. This seemed to be due to a bipartisan statute that raised caps on discretionary spending. 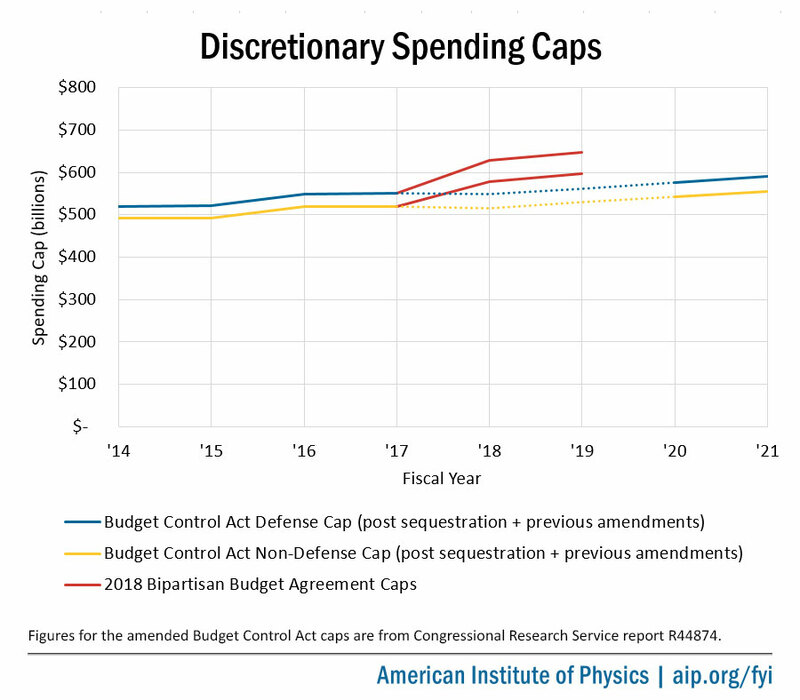 However, lawmakers predict that fiscal years (FY) 2020 and 2021 will have more restrictive budgets, provided no additional increases are pushed through Congress. Furthermore, appropriations for agencies affected by the recent government shutdown need to be finalized for this FY or Continuing Resolutions need to be authorized. The appropriations packages introduced during the shutdown rejected proposed cuts to R&D programs, but those bills have stalled despite the government’s partial reopening. Marcy Kaptur, chair of the House Energy and Water Development Subcommittee. In a statement confirming her appointment, Ms. Kaptur said she will “serve as an important check against the shortsighted efforts to gut the innovation-driven Department of Energy” and fight to increase funding for renewable energy R&D programs. Lamar Alexander returns to chair the Senate subcommittee as he continues his long-standing advocacy for doubling the DOE Office of Science budget, which supports 10 national laboratories. José Serrano, chair of the House Commerce-Justice-Science Subcommittee. This subcommittee oversees activities governing the National Institute of Standards and Technology (NIST). In the previous Congress, Mr. Serrano served as the Subcommittee’s ranking member, where he pushed for a STEM education grant program for Hispanic Serving Institutions at the National Science Foundation (NSF). In the Senate, Jerry Moran returns, likewise to continue promoting STEM education at the National Aeronautics and Space Administration (NASA). A complete rundown of the House and Senate Appropriations Committees’ selected leaders is available here. This coming Thursday, the Senate Energy and National Resources Committee will hold a hearing to discuss the state of American energy innovation. The hearing will concern the Trump administration’s request for a decrease in DOE funding despite an increased need for R&D and innovation through public-private partnerships. The publication discusses several T2 topics of interest, including the Office of Science’s roles in national laboratories, lab-to-market initiatives, AI, quantum information science (QIS), and more. “American Scientific Leadership in the 21st Century” can be read in its entirety here. A webcast of the hearing will be made available on Thursday, but an archived copy will be available. Both can be viewed here. Last week, the Senate Select Committee on Intelligence convened to discuss the ongoing tech threats against American innovation. Dan Coats, Director of National Intelligence, explained that while artificial intelligence and machine learning are being championed in domestic budget and policy discussions, adversaries like China and Russia are also strengthening their understanding of these leading-edge technologies. While testifying before the Committee, Coats remarked that “it becomes a major challenge to the intelligence community to stay ahead of the game and have resources directed toward how we need to address these threats.” Many of Coats’ sentiments are echoed in the National Intelligence Strategy released by his office last month. Increasing transparency while protecting national security information to enhance accountability and public trust. As defined by the Strategy, threats include both those in space and on land, such as the abundance and proliferation of big data, and emerging technologies (including nano- and bio-technology). A webcast of the complete hearing can be viewed here. The full text of the National Intelligence Strategy can be read here. The Government Accountability Office (GAO) recently formed the Science, Technology Assessment, and Analytics Team (STAA) to augment its existing science and technology functions, particularly in appeals to Congress. Elsewhere, the GAO analyzes how agencies can best manage and implement science and technology (S&T) solutions. Its recent work includes studies on QIS and AI, including the benefits and challenges of each leading-edge technology. The STAA will conduct technology assessments like those linked above, audit S&T programs for their effectiveness and cost control, as well as use engineering best practices to tie together their independent measures of the cost control, schedule efficiency, and technological readiness of these initiatives. All three of these support areas will fold into an eventual audit innovation lab to pilot new advanced analysis and explore other emerging technologies before they reach widespread adoption. A video detailing STAA’s plans and initiatives can be viewed at the GAO’s blog. Strategic objectives under this iteration of Cloud Strategy include enabling the growth of data analysis, proactively addressing cyber challenging, ensuring AI and data transparency, and driving IT reform at the DoD. The Pentagon assessed the current American cloud environment as inefficient and insecure with a lack of united cloud programs and implementations across the government. In line with the DoD’s plans for a Joint AI Center, an enterprise cloud infrastructure needs to be implemented for AI’s warfighter advantage to be fully realized. The full text of the Pentagon Cloud Strategy can be read here.